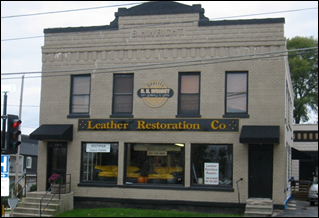 Leather Restoration's mission is to provide a value alternative to purchasing new furniture, boat seats, jackets and coats. 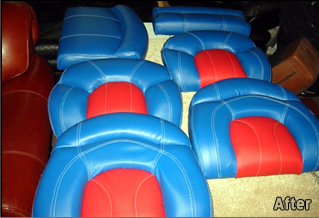 We replace cushion cores, fix frames, restore, recolor and replace damaged panels on furniture, coats jackets and boat seats. 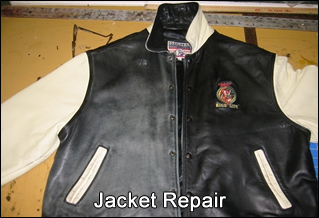 We have a fulltime seamstress who can replace zippers and alter leather garments. 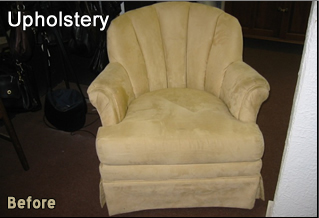 In addition, our upholsterer has over thirty years experience making furniture look new again. 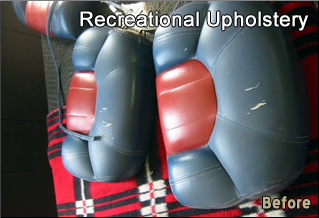 We can recolor your leather items to look new again! 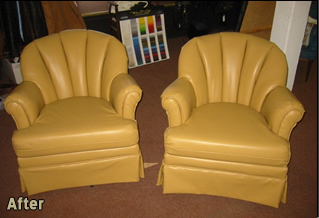 Leather Restoration offers expert marine, home and commercial upholstery services. We are located 3.1 miles south of I-94 at exit 295 Hwy F South. 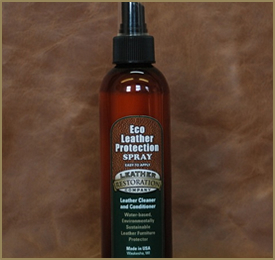 Eco Leather Spray is an all natural wax protector. Easy to use. 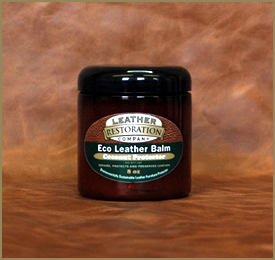 It will reinforce the top coat and heal minor abrasions in the leather. Use 3 times a year or as needed. Safe for purses, Jackets and Leather Furniture. Safe for pigmented and aniline leathers will extend the life of the leather.